Access Specialties has worked with many hospitals, clinics and other healthcare organizations to protect their people, building and assets. Typically healthcare facilities pose unique and rigorous security challenges while still needing to accommodate the public and a variety of users. Additional requirements include integrating several technologies and aspects of security including access control, alarm monitoring, video surveillance, asset tracking, visitor management and identification, along with logical access control. Access Specialties has the experience and products to help medical facilities meet these challenges. Our access control systems for hospitals and healthcare feature advanced integration capabilities and we specialize in custom, multi-technology cards with advanced authentication so users do not have to carry multiple cards. We are also able to help many healthcare facilities save a tremendous amount of money on access cards and other supplies because we pass along our special OEM pricing through our dealers. Contact us today for more information and to see how we may assist you in securing your facility. We partner with the industries’ most secure and powerful manufacturers of credentials that we can offer all types of cards for any size application. 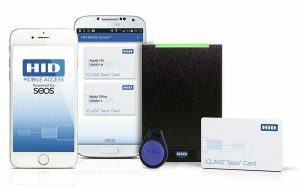 For prox cards, RFID, fobs, badges, ID cards, smart cards, fingerprint, biometric, and more – we’ve got you covered! Together with our network of dealer and installation partners, we can help businesses of all sizes enhance security, protect their building, people and assets for less than you would think. Our technology partners help us offer the latest in biometric, smart card and contactless technologies, multi-technology readers, access cards and door hardware for any application. Contact us today to find out how we can competitively source your supplies and save you money.